That’s a good way to describe what’s happening to cheesemaking in Maine. Ten years ago, just eight licensed cheesemakers worked in the state; today there are 86, a total that puts Maine behind only New York. It’s the way the wind’s blowing: craft cheesemaking is interwoven with the small-farm revival and buoyed by the locavore movement. 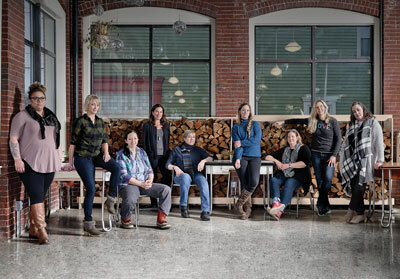 There’s also been some very intentional steering: The Maine Cheese Guild has worked since 1999 to hone members’ skills and mentor new cheesemakers, most notably by bringing some of the world’s best practitioners to Maine to teach their craft. Guild members describe a collegial community. They help each other troubleshoot various problems — why is my cheese rubbery, corky, curdy? — and they celebrate one another’s wins at regional and national competitions like the annual American Cheese Society awards. 2.5 billion pounds, is first). 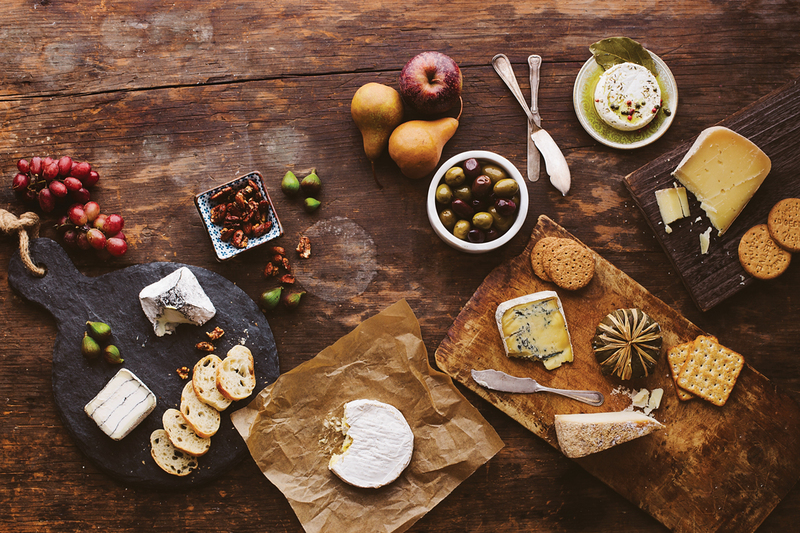 The guild is now focused on helping cheesemakers boost production and improve branding so Maine’s handmade cheeses have the same cachet as, say, those from Vermont. Every December, guild members participate in a demonstration of terroir — the unique flavors and aromas imparted to a cheese from the place where it’s produced. They all follow the same recipe and then bring the results to their Christmas party. 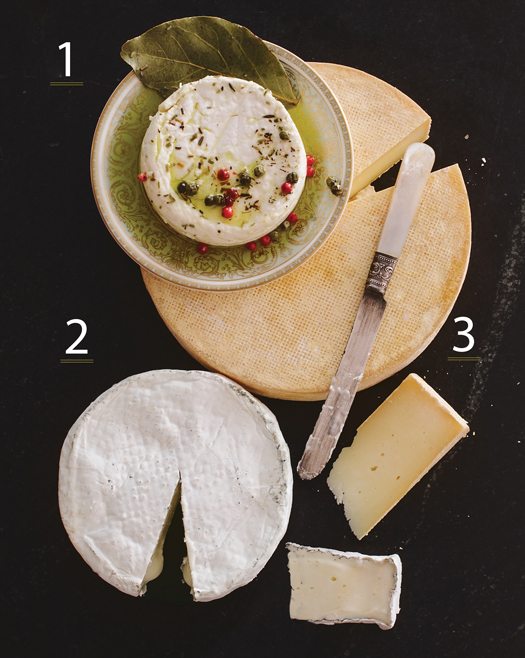 Without fail, each cheese is distinct in flavor and texture. “It’s our belief that we’re never fully in competition with each other because we can make the same recipe and the cheese will be very different,” says Guild vice president Arlene Brokaw of Imagine Dairy in Warren. 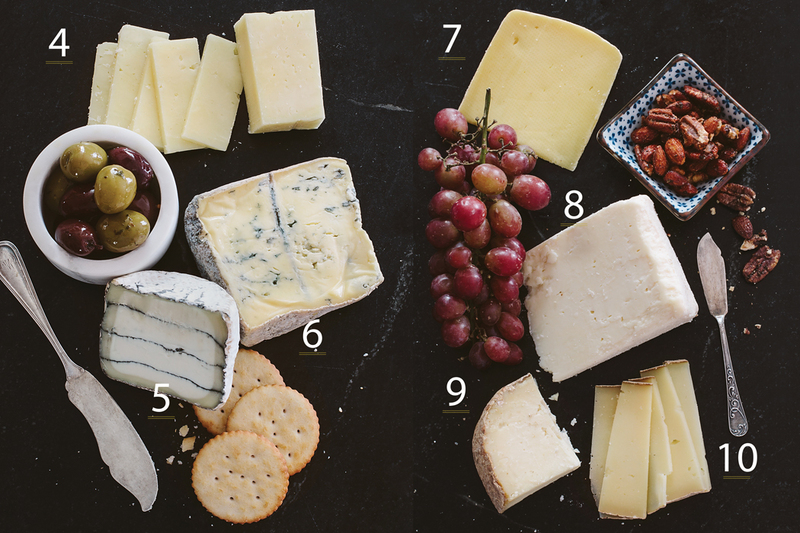 A selection of Maine’s best, with tasting notes from guest editor Martha Stewart, senior editor Virginia M. Wright, and Heidi Klingelhofer, cheesemonger at Five Islands Farm in Georgetown. A three-time American Cheese Society (ACS) Award winner, this fresh, soft chèvre wins over even folks who say they don’t like goat cheese. The fragrant, herbal olive oil softens the tanginess of the bright, lemony cheese. How to serve: With a fresh, crusty baguette. It’s great tossed with pasta or crumbled on a salad. To sip: Savage Oakes Vineyard’s Barn Red. Tide Mill Creamery, Edmunds. 207-733-7533. Tide Mill is Maine’s largest organic goat dairy and one of only a few in the country. Experimenting with variations on Camembert, Rachel Bell blended her own high-butterfat Nubian goat’s milk with cow’s milk from her cousin’s Tide Mill Organic Farm. This ACS blue-ribbon winner is the happy result. How to serve: Best at room temperature. Spread it on a baguette or slice it into wedges and serve with fruit. Spring Day Creamery, Durham. 207-200-8371. For 15 years, Sarah Spring lived in France’s Brie region, where it’s routine to serve several cheeses with dinner. “Learning the tastes, it’s like a language,” she says. “La Vie en Rose satisfies that homesick feeling.” Less intense than typical brine-washed cheeses, this raw cow’s milk cheese is a mildly stinky cross between Brie and Muenster. It placed first in the 2012 ACS competition. How to serve: Enjoy it with a warm baguette, sourdough bread, or Scandinavian crispbread, which won’t overpower it. To sip: a medium-bodied red wine, such as Cabernet Franc. State of Maine Cheese Co., Rockport. 800-762-8895. How to serve: This cheese melts beautifully, so use it in fondue and mac and cheese or grate it on top of a baked potato. It’s an everyday cheese, sliced and served with crackers. Sunset Acres Farm, Brooksville. 207-326-0700. Anne Bossi’s goat cheeses are so beautiful, her farmers-market customers photograph them. This bloomy-rind cheese is thinly striped with a gray vegetable ash imported from France. The flavorless ash is more than an aesthetic touch: it reduces acidity and aids in ripening. How to serve: Pair it with sweet Honeycrisp apples, fig jam, or a drizzle of balsamic vinegar, or simply smear it on plain crackers. Imagine Dairy Farm, Warren. 978-471-8399. “I have an affinity for bloomy-rind cheese,” says Arlene Brokaw, referring to the white mold that forms on a cheese’s exterior. “It’s the driving force of why I’m a cheesemaker.” Brokaw married Brie and blue to come up with soft, buttery, pungent Hullabaloo. How to serve: Delicious with candied walnuts. Fuzzy Udder Creamery, Whitefield; 207-549-3817. Another ACS award winner, Tempest is a versatile tomme (tommes are hard, mild wheels made in the French Alps region). “It’s not a complex recipe and not aged super long — three months is about perfect,” says Jessie Dowling, caretaker of some 50 whimsically named goats and sheep. For Tempest, however, she uses organic Jersey cow’s milk from Two Loons Farm in South China. How to serve: Sweet apple wedges and preserves go well with this buttery cheese. It makes an awesome grilled cheese sandwich. Seal Cove Farm, Lamoine. 207-667-7127. Olga is named for the Ukrainian intern who helped Barbara Brooks develop it from recipes for Chaource, a French cow’s milk cheese. Olga uses both cow and goat milks. “We made our first batch in a five-gallon pot in the sink,” Brooks says. It took a few years of tweaking and building up volume before Olga was ready for market. How to serve: Yummy with nuts, dates, and dried sausage. Brooks uses it on her to-die-for farm-stand wood-fired pizzas. York Hill Farm, New Sharon. 207-778-9741. Penny Duncan makes Capriano only in the fall, when goats are bred and their milk is rich in fats and proteins ideal for hard cheese. Using a recipe similar to Romano, she makes it in 5–6-pound wheels — about 30 a year. “Once it’s gone, it’s gone,” says Duncan. How to serve: Nibble with olives, dried sausage, or rosemary crackers. Grate it on linguine with clam sauce or on risotto. Deb Hahn’s specialty is aged cheeses, so she typically has to wait at least 60 days before sampling the fruits of her labors. Cheddary City of Ships, her take on French Alpine cheeses like Comté, proved worth the wait. How to serve: Delicious with caramelized onions, almonds, fig preserves, and blueberry chutney. To drink, think stouts and porters. 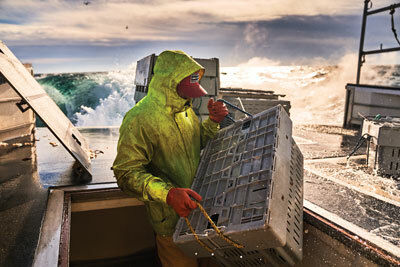 Maine’s Most Versatile Cheese? See Allison Lakin’s Ricotta and Fiddlehead Sformati recipe.